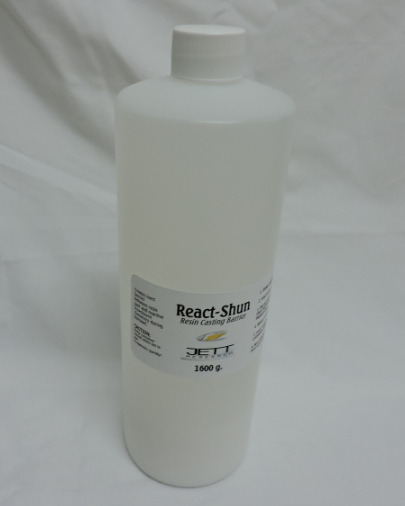 React-Shun direct resin casting and molding barrier. Creates inert layer of calcium fluoride inside the casting mold cavity. Prevents 3D resin parts from bonding to low temperature vulcanized rubber molds. Make direct production molds direct from 3D printed resin parts.